Spring has arrived, and with it the chance to enjoy the outdoors, shake off those winter blahs, and get moving! While Tampa Bay has not endured the less-than-wonderful winter weather of our northern neighbors, we’re ready for warmer temperatures and longer days. Sustany® has many tips for a sustainable spring. Plant vegetables – plant your own veggies for ultra-fresh and pesticide-free food. The latest list of the “Dirty Dozen” fruits and vegetables from the Environmental Working Group identifies everything from spinach to bell peppers as having the most pesticide residue – even after you wash them. So plant some of your own without pesticide and focus on eating the “Clean Fifteen,” including cantaloupe and sweet potatoes. 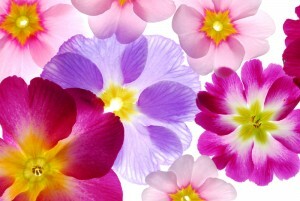 Plant flowers – Spring flowers are a cheery accent. Your flowers can do double-duty as food for bees. Bees have been stressed in recent years by Colony Collapse Disorder and also just the loss of habitat. Plants like milkweed, asters and many more can help our bees survive. Plant native plants – which need less water and are better able to survive Florida’s tough heat. The Florida Native Plant Society can help you find the perfect plants for your yard from the thousands available. Use non-toxic cleaning products. Vinegar, water and baking soda can handle most daily cleaning needs. Use natural fiber sponges and cleaning agents that are biodegradable, phosphate-free, chlorine-free, and unscented. Reduce paper use. Use rags instead of paper towels and wash them for reuse. Buy post-consumer recycled paper and recycle it when you’re done. Repair instead of replace. Spring is wonderful time for a fresh start. But think twice before you throw out that perfectly good pair of shoes or piece of clothing from “last season.” The longer you use an item, the less virgin materials are needed to replace it. Minimize lawn care impacts. A lawn has significant environmental impacts. All that watering, fertilizing, mowing and pest control exact a toll on the planet. So minimize how much of your yard is devoted to lawn. And consider a smart device like the Smart Garden Hub, which can help save up to 50% of the water you sprinkle on a lawn. Play with the kids. It’s a chance to teach them the basics about sustainability while enjoying the great outdoors together. Whether you love to hike, bike or go boating, Tampa Bay offers beautiful surroundings in which to have “the talk” – about sustainable behaviors. Most kids love to get involved in everything from recycling to trash pick-up to gardening. Add one new sustainable habit. If you’re already recycling, conserving water, and managing your heating and AC for energy efficiency – good for you! Consider adding one new habit for yourself or your family this spring, and see if you can bake it into your regular routine. Sustainable habits don’t need to be disruptive and small changes add up! Did you know that for the first time, in 2014 the world economy grew while greenhouse gas emissions stayed flat? Breaking the link between economic growth and greenhouse gas emissions has been a long-sought goal, because it shows that a strong economy and a sustainable economy can be one and the same. Make your plans now for Earth Day in April! The official day is April 22, but many organizations use the whole month of April to sponsor green fairs, eco-fests and other events to both educate and inspire people about sustainable living. Need ideas? Sustany® can help!